Did you read page C28 of last Friday’s NY Times? We already knew it, but the “newspaper of record” confirmed it: an early morning fitness mob wheelbarrowing up and down the TKTS steps in Times Square is worthy of “all the news that’s fit to print”! We were honored to get the good press and it has certainly generated a lot of fun conversations. But more than anything else the article was a validation that there’s something special that happens when a group of people commit themselves to consistently working out together. Whether you like it or not, you’re gonna make some friends. And those friends are going to push you to wake up earlier, get stronger, run faster, and ultimately become a better version of yourself. In return, you’re going to push back and help shape everybody else at The Rise. I’m not going to spend any time trying to convince you that we are better than anybody else. That’s not the point and it’s stupid to think like that. We aren’t better than other people. We’re just trying to make life a little more awesome and it turns out there’s a lot of people in this city who want to do that, too. Are you one of them? Come join us. No more excuses! 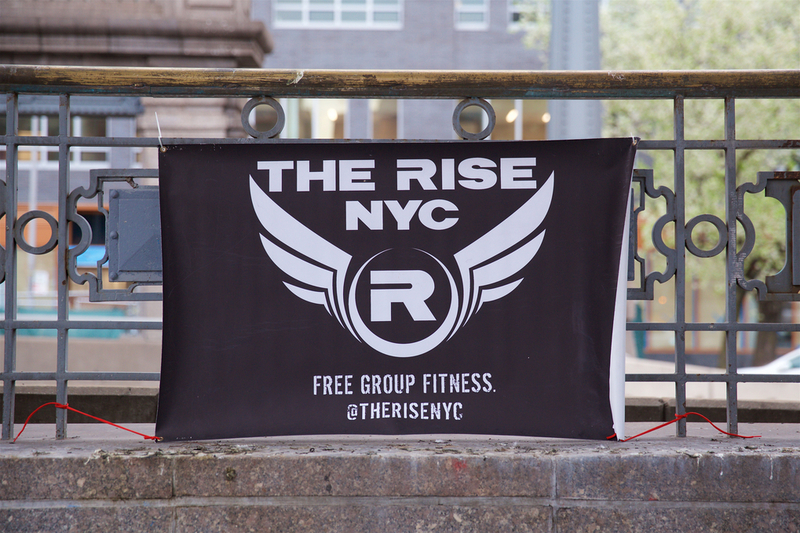 We’ll be at Bryant Park tomorrow at 6:30 AM.